The young American Robin are finally out of their nest and they are easy to find because of their constant demand for food ! You just have to follow their chirping sound ! This little fellow below was high on a branch waiting for one of the parent to bring some foods, unfortunately when one of them brought foods it wasn’t at a good angle and wasn’t worth a good shot. So here is my favorite of the series, the wind was blowing as we can see in it’s feathers. Taken with Canon 7D and 400mm/5.6 L at f/6.3. This entry was posted on May 25, 2015 by Steeve Marcoux. 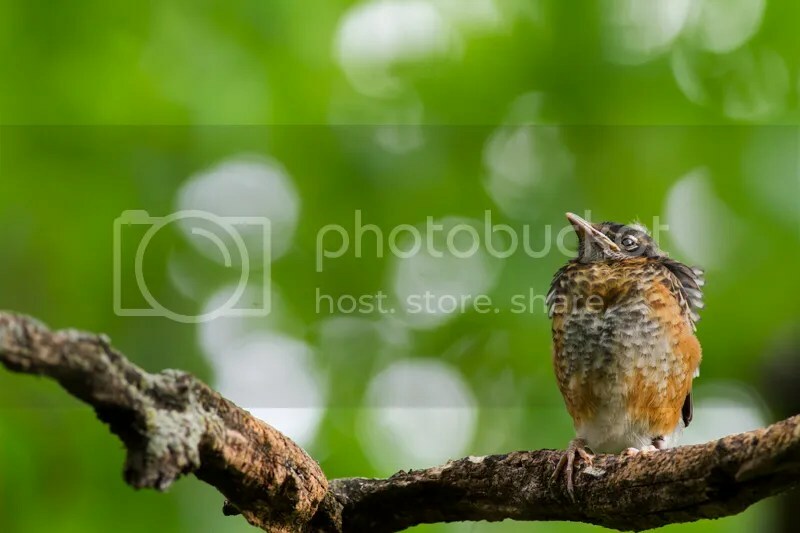 It was filed under Weekly photo and was tagged with american robin, canon 400mm, canon 7d.